Seen here is the amazing beach at Playa Puerto Nuevo in Vega Baja, Puerto Rico. A large natural rock formation colloquially known as “La Peña” shelters the beach from the open seas. 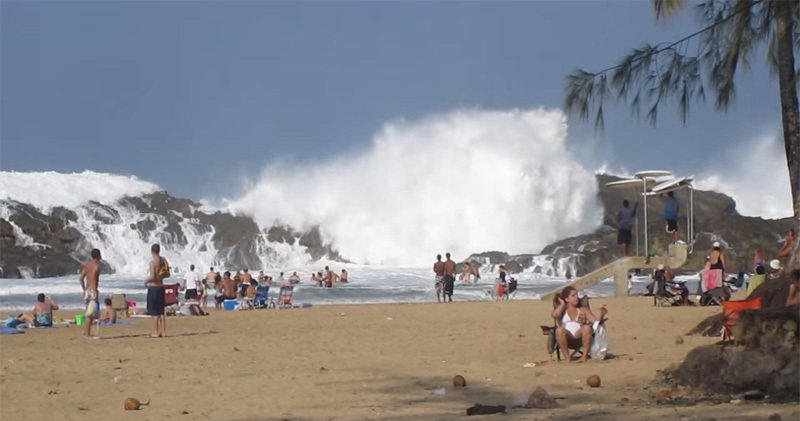 During rough marine conditions, huge waves from the North Atlantic Ocean smash against the rocky barrier, cascading down the rock face and delighting beachgoers.